This new edition of the successful Get Ahead! 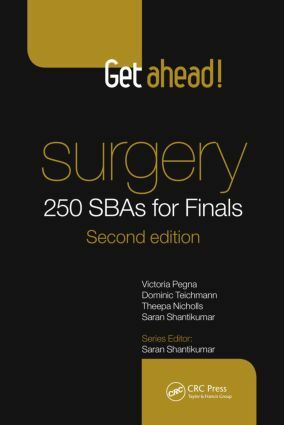 Surgery: 250 SBAs for Finals provides invaluable revision for all medical students preparing for final exams. Written by experienced authors, this book covers the entire syllabus in a clear and comprehensive style. It builds on the strengths of the first edition to provide reliable and effective revision practice to help candidates achieve success in final exams.